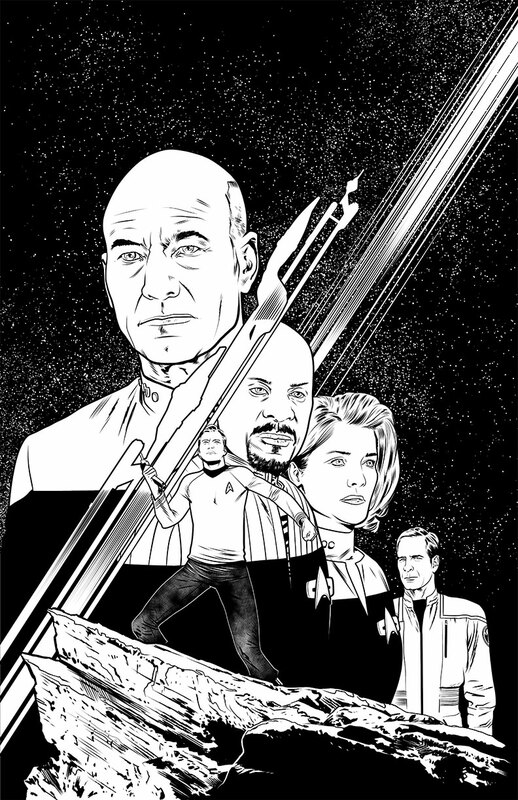 All the captains together for the collected STAR TREK WAYPOINT and I got to draw it. Super cool. You’ll also recognize the three Enterprises between Picard and Sisko! The rock Kirk is standing on is ALSO the Vasquez Rocks where Kirk famously fights the Gorn in the TOS episode “Arena”! BUT WAIT… there’s more! Picard’s uniform is WRONG! 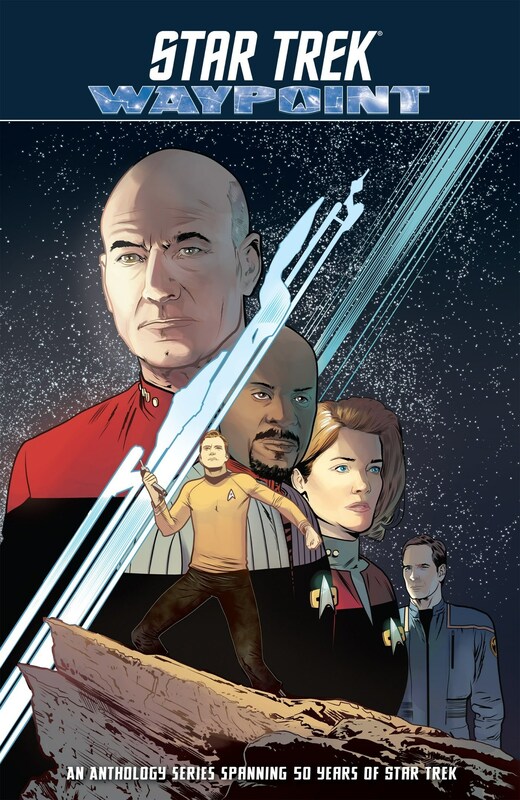 I mixed up the black and colored areas of the TNG uniforms and no one said a word!